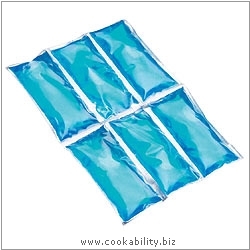 A fully flexible and reusable ice mat ideal for keeping food and drink cool. Ice mats stay cool for hours. Fully flexible even when frozen. Perfect for packed lunches and picnics. Tough, durable, non-toxic and easy to use. Simply store in the freezer until required.